A Long-Term Care Benefit Plan is an irrevocable FDIC-insured account administered by a third party. Proceeds from a life settlement transaction are used to fund the plan. I just hate these phone calls. They’re heartbreaking. The event has happened. It’s one thing when it’s a client who has long-term care insurance and the plan is in place to fund quality care. That’s bad enough. It’s worse when the call is from someone who has been referred to me and has no insurance as was the case in the phone call I just received. A sixty year old vibrant attorney has suffered a major stroke. Cognitive skills intact. Total paralysis on left side. He cannot perform any activities of daily living – bathing dressing, eating, toileting, continence, transferring – without hands-on assistance. He’s been in skilled nursing and rehab hospital for four months and will be released to return home in a few days. It was his wife who called. She works. No kids. She is exploring home care agencies to provide care while she is working. Every agency she has called has asked if she has long-term care insurance. The benefits manager at her husband’s employer has referred her to me. She is calling to inquire how quickly she can get this insurance in place because he’s coming home at the end of the week. Self-fund: Use your income, savings and potentially liquidate your retirement portfolio to pay for care. Medicaid: Qualify for government assistance. Income and assets must meet government requirements. Long-Term Care Insurance: Transfer the risk to an insurance company. There are several products available today. The right one will depend on your health history, affordability and financial goals. But there is good news for those who are uninsurable. Some may find themselves in this situation because they waited too long and have aged out of insurance options. 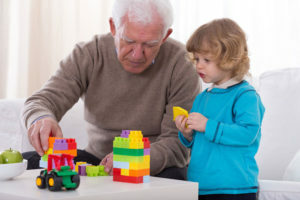 Depending on carrier and product long-term care insurance is available from age 18 through 85. Others may have an uninsurable medical diagnosis. Conditions like dementia, muscular sclerosis, Parkinson’s and many autoimmune diseases fall into this category. And still others have experienced a disabling event that has rendered them uninsurable like the attorney. Motor vehicle accidents are right at the top of the list as the cause of disability for working age adults. 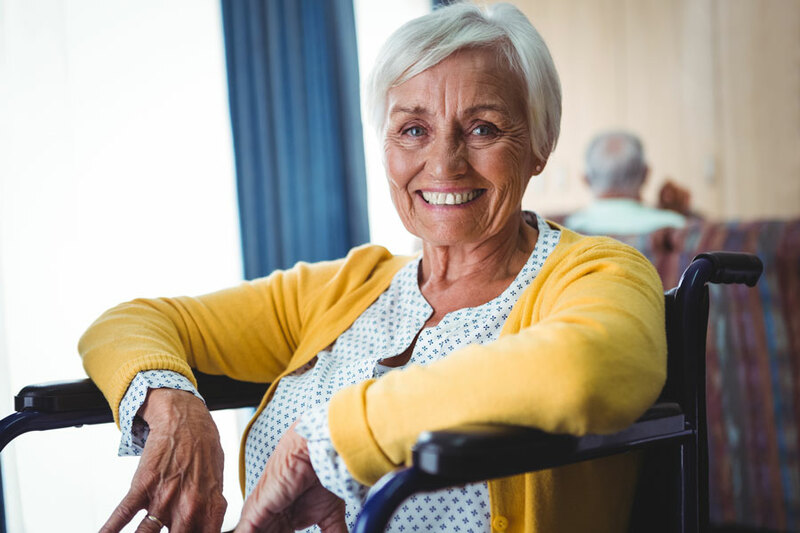 Thankfully, funding strategies like a Long-Term Care Benefit Plan are available and provide additional funding options for those who can no longer qualify for insurance. This is a very good reason to hang on to that life insurance policy that you’ve been thinking of canceling. A Long-Term Care Benefit Plan is a unique, tax-advantaged funding option. It allows the owner of a life insurance policy to sell the policy at fair market value to fund long-term care expenses. Because the value of the sale is based on the death benefit and not on the cash value of the policy, any form of life insurance can be used including term, permanent or group. The Benefit Plan is an irrevocable FDIC-insured account administered by a third party. The account is set up to make payments directly to the care provider. Funds will pay for all care venues. A funeral benefit is preserved and upon death any unpaid account balance goes to the designated beneficiary(s). All health conditions are accepted, there are no deductibles, no care restrictions or requirements to be terminally ill. This funding strategy can be accomplished quickly. It is an option for people who are receiving care or will need care soon. Care payments are tax-free. There are no triggers to eligibility. All medical conditions qualify and there are no elimination periods to fulfill. Fortunately, the attorney had a significant group life insurance policy through his employer and we were able to set up a benefit plan to pay for his care. Another funding option for those who find themselves uninsurable is a home care membership service. This is not insurance. It’s a membership program. No underwriting. No claim forms. No triggers to eligibility. No deductibles. No co-pays. And, no age limits! Members can purchase a set number of hours from 150 hours up to 1000 hours and renew hours up to nine times if more care is required. This is deeply discounted home care. For example, the median hourly cost of non-medical home care in the nation today is $20 per hour. A thousand hours of home care at $20 per hour would cost $20,000. With this membership 1000 hours runs $5700 or $5.70 per hour. Because members are buying hours instead of dollars there is a built-in inflation component. If hours are used today the value of one hour is $20. But if care is not needed for 10 years and the cost of non-medical home care increases to $30 per hour, the value of the hour would be $30 in 2027. Home care membership service is a funding strategy put in place in advance of needing care. If care is not needed in a given year a 10% discount is applied to the premium year after year for four years. In other words, members can receive up to 40% off of the original annual premium until the time that care services are engaged. Then premiums reset to the original amount. If hours are exhausted the membership hours can be renewed nine times. A home care membership service is a funding strategy put in place in advance of needing care. If care is not needed a 10% discount applies to the premium year after year for four years. For older clients who can no longer qualify for insurance because of their age this can be a very effective strategy. We have also put this in place for clients who currently have no care needs but have an uninsurable medical diagnosis. This is field issued. It is not medically underwritten. The only eligibility requirement is that member cannot need home care when he/she applies. These annuities have traditionally been the long-term care funding mainstay for the uninsured or the uninsurable. Income can be used to pay for care expenses or any other purpose. There are two designs – medically underwritten and non-medically underwritten. Both can be designed to provide an income stream guaranteed for a certain period of time and/or for the lifetime of the annuitant. The income from a medically underwritten single premium immediate annuity is greater than one that is not medically underwritten. That’s because insurers are underwriting shortened life expectancy. These are taxable funding options and usually require substantial premiums to fund meaningful long-term care benefits. This funding strategy is designed for people who may need care now. With more options comes more confusion to an already complex issue. We can help with pros and cons of each long-term care funding strategy and provide the information you need to determine what is best for you based on your health, affordability and financial goals.